« KISS: Keep it Simple, Silly! Waist or Waste? You Can’t Have it Both Ways. I want to start this blog by telling you just a little bit about me. I have been hesitant to talk too much about fat loss (what people typically mean when they say they want to “lose weight”). I mean there is so much strong emotion out there on this topic. If you say something too far in one direction, you may be seen as “body shaming” or trying to imply that everyone should be on a mission to lose fat. If you stay too far in the other direction, the area where you don’t upset anyone, you really can’t say anything of any consequence. You spend your time walking on the fence rather than helping anyone. Today, I choose to make a stand. Today I’m jumping down off the fence. Today I’m going to publicly say: if your goal is to lose fat, gain muscle, or change your body shape in any way, one of the things you’re going to have to do is change the way you’re eating. If you are unhappy with your current shape or size, doing everything you’ve always done, gets you everything you have now. If you don’t change things, nothing changes. That’s a fact. Period. Dot. Another fact is that sometimes we just want to eat a pan of lasagna, loaf of garlic bread, and the entire Death by Chocolate Cake. I’m not judging any of that but I think we all know that when we eat that way, we pay the price. When we eat that way for a period of time, we may not be happy with the result but we understand it. Did you know, though, you could be eating thousands more calories a week than you’re even aware of? These calories are “hidden”. They’re not accounted for when we think about what we ate. They’re “forgotten”. They’re the things we think don’t matter. I typically do quite well when I’m by myself, but recently I’ve been fortunate enough to spend a bit of time with family. When I’m around the kids, I have a lot more BLTs. These are bites, licks, and tastes that find their way into my mouth. It’s the French fries I didn’t order but I steal off my husband’s plate. It’s the chocolate bar that I didn’t buy but my friend gives me a piece of. It’s a handful (or two) of buttered popcorn I take out of my Hayden’s bucket at the theater. A lick or two when the kids’ ice cream is melting faster than they’re eating it. Here’s an example of just one day: Zoey asks for a yogurt in the morning but only eats two-thirds of it. There’s only one blueberry muffin left. It’s small and I don’t usually make muffins so this is a treat. I make Nathan a peanut butter sandwich and lick the knife. In truth, I might even put a little more peanut butter on it before I lick it! He left three uneaten tortilla chips on his plate, so I eat those as I’m clearing the table. No sense in throwing them out. I mean it’s only 3 chips. I have several tastes of the chicken and rice while I’m cooking dinner: just to make sure it’s palatable. I don’t have a glass of wine but I do have a couple of sips off Ashleigh’s. There’s some rice left at dinner but it’s not enough to save so I have an extra couple of spoonfuls. I pack Blake’s lunch and there’s just a little too much fruit cocktail to fit into the Tupperware. I’d hate to throw it out. In the evening when I think about what I ate for the day, typically these BLTs don’t even cross my mind. I don’t think they matter but they can really add up. 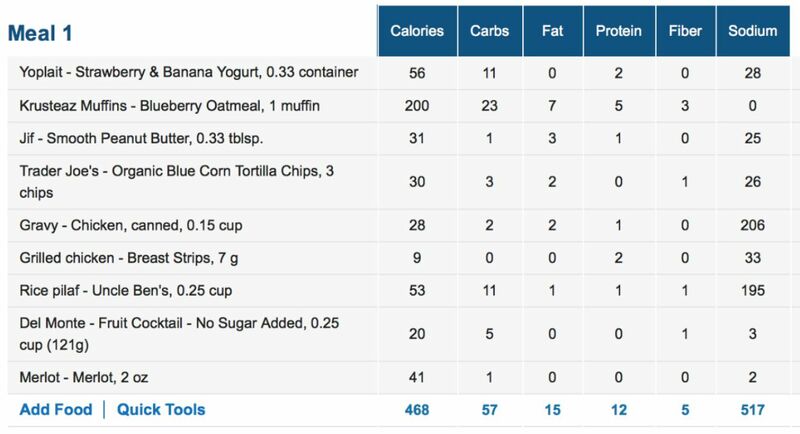 In one day, my BLTs provided an extra 468 calories, 57 grams of carbs, 15 grams of fat, 12 grams of protein and 517 grams of sodium. If I do this pretty typically every day, that’s 3,276 extra calories for the week!! The issue is not that I ate these things. Rather, that I ate them without even thinking about them. Do you see the problem? This is still something I frequently struggle with. I hate wasting food. I still feel a pang of guilt if I don’t clean my plate. I can push it aside but it’s always there. Do you know what I’m talking about? I know it’s not just me…..
….I also want you to know that it’s not just you. I struggle just like everybody else. There are three tools I typically use to keep me from mindlessly eating BLTs. Whenever I am eating or drinking anything, my first question is. “Am I enjoying this? Is it worth the calories I’m taking in?” If so, I eat it. If no, there is no reason for me to eat it and I don’t. Instead, I have something else. I ask whether I would prefer waste or waist. WAIST: If I choose not to discard the BLTs and I personally become the family garbage disposal, those calories are going to end up on my waist. You can’t have it both ways. Throw the extra in the garbage or throw it into your body. The third thing I do is employ a shift in mindset. Yes, I may have paid $30 (or 10, or 80…the dollar amount is irrelevant….if you don’t believe me, check out the amount of food being consumed at a Cici’s Pizza buffet) but whether I eat only enough to feel satiated, or I force myself to eat the entire thing and become uncomfortably full, it still cost me exactly the same amount of money. I remember my mom saying that she had become the family garbage can. She polished off everyone’s food! Needless to say, after the doctor told her she was pre-diabetic, she lost lots of weight and she stopped being the human garbage can! You will definitely gain weight if you eat like a vacuum cleaner! It’s so odd that we do this, isn’t it, Alice? 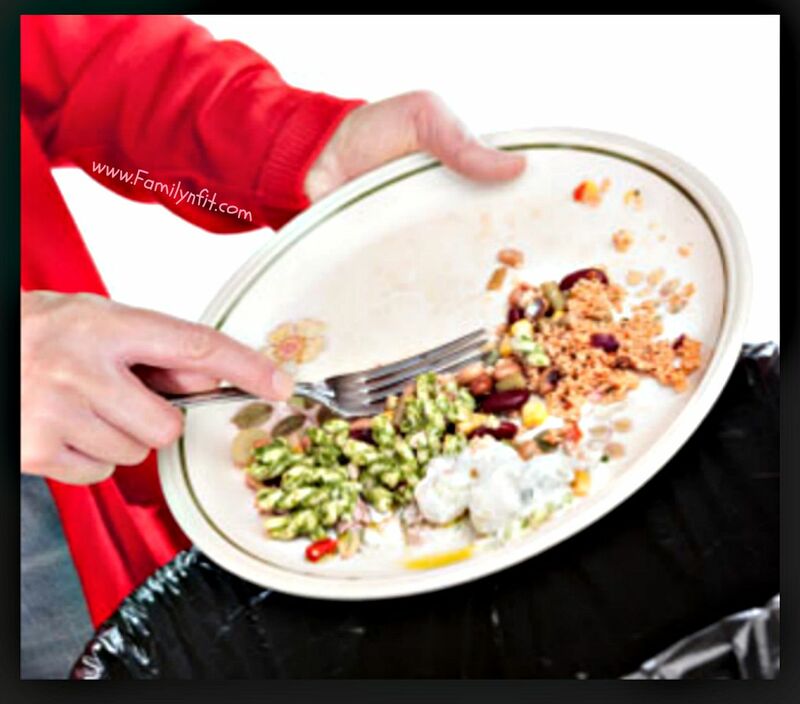 I’m sure it happens to men too but women, for sure, feel some compulsion to “clean up” all these left-overs. I agree with you entirely. Much better to throw away what you don’t want/need. It works out exactly the same as if you’d eaten it, but the excess is not inside you, it’s in the bin. We can try to cook the exact amount we need so we don’t have to waste anything. Perfect, Francene. Ideally, I would love to shop for groceries each day – and only buy the amount I need. Thanks for taking the time to comment!! GREAT BLOG! Love the way you share about your own life and then analyze it so well in calories, etc. I’m going to share this with my peeps on FB. Wonderful read and information! Thank you so much, Melanie!! I’m glad you found it helpful. Oddly, I’ve never had this compulsion. I guess I consume my calories intentionally. Either way, I’m still over weight! Maybe it’s because my ex was the garbage can. But I used to always eat everything on my plate, and I got over that habit by making sure that I at least left one tablespoon of food on my plate regardless of where or what I was eating. I have to admit, it helped change my mindset, so now I don’t feel like I have to eat everything on my plate. My parents did the same thing, so I made sure I didn’t do it with my kids. BTW, it worked with one child but not the other. LOL!